Belize New Years Eve 2019 is one of the most awaited moments by everyone around the world. Belize requires no introduction to beautiful beaches and amazing natural places. It offers one of the best new year’s party destinations around the world. Due to it’s popularity, most of overwater bungalows in Belize sold out for new year holiday week. 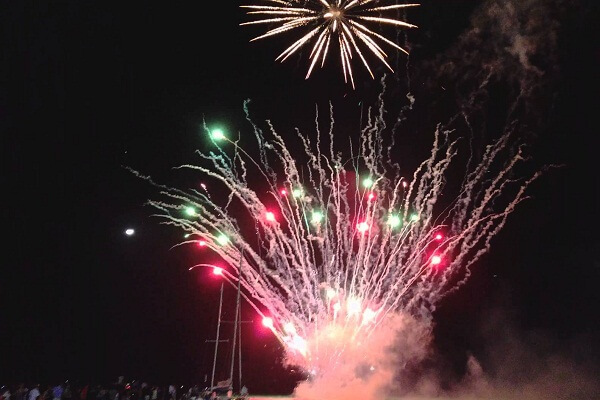 New Year’s Eve 2019 in Belize is a wonderful time when all the holiday goers from around the world gathers for party. Waters sport activities is a popular things to do on New Year’s Eve in Belize with your loved one. In this article, Overwater Bungalows Guide compiled a list of best overwater resorts for new year vacation in Belize to make amazing trip! It’s a wonderful place to celebrate new year in Belize. 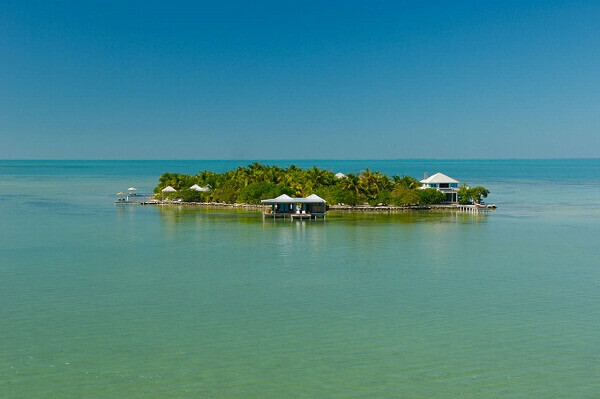 It’s a highly rated luxury private island, widely known among the global travellers. They are wonderful in everything, from delicious food to amazing cleanliness. They are expert in making your holiday trip memorable and creating last long memories. It’s an amazing place to celebrate new year party and event with your loved one. They organize everything for you to make your stay wonderful. 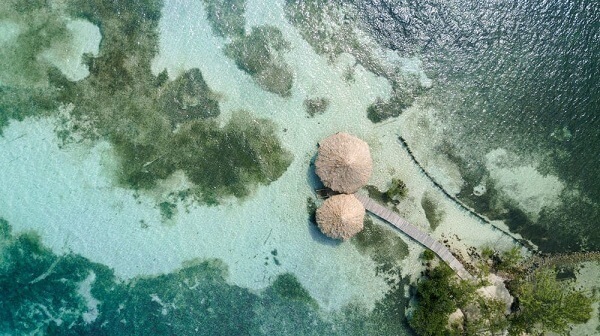 Most of overwater bungalows in Cayo Espanto get booked. 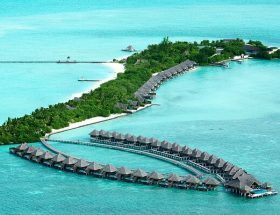 Hence, quickly grab your overwater bungalow at the best rates available in the market from this webpage. 1st Step: Arrive at Belize International Airport OR Philip S. W. Goldson Airport. It is the nearest international airport from Cayo Espanto. 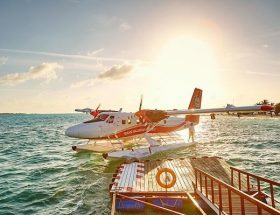 2nd Step: Your resort representative will meet you inside the Belize International Airport (outside customs) and direct you to the Maya Island Air ticket counter for your flight to San Pedro. 3rd Step: From San Pedro Airport, your resort representative will meet you and guide you towards your boat ride. The distance between San Pedro Airport and Cayo Espanto is about 10 minutes ride. Thatch Caye Resort a Muy’Ono Resort is one of the best and cheapest overwater bungalows in Belize to celebrate new year holiday. It’s not only cheap but considered as one of the best best places to celebrate new year in Belize. They offers all kinds of water sport and activities, such as fishing, an island hop tour, paddle boarding, snorkeling, kayaking, and much more. 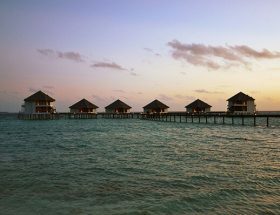 Only a few water villas are available for new year holiday week. Quickly grab yours from this webpage for amazing experience. 2nd Step: Take a direct flight from Belize International Airport to Dangriga Airport. A return ticket is required when you enter the country and in-country flights. 3rd Step: From Dangriga Airport, the representative or guide of the resort will guide you to drive you to the dock at the Pelican for the boat ride (up to 30 minutes approx). 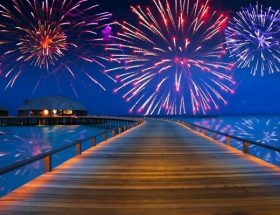 St. George’s Caye Resort is one of the best overwater bungalows in Belize for New Year’s Eve 2019 celebrations. They offers excellent sports activities, such as diving, kayaking, exploring sea creatures, and much more. Do not forget to taste their delicious and amazing food for new year holiday. Only a few overwater villas are available for new year holiday week. Most of them will get sold in shorter time. Quickly grab yours from this webpage at the best rates available online. 1st Step: Arrive at Belize International Airport OR Philip S. W. Goldson Airport. 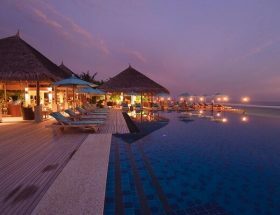 It is the nearest international airport from this resort. 2nd Step: The distance between St George’s Caye and Belize City coast is just 7 miles. You have to reach to the coast of Belize City from the international airport. From the coast, take a boat ride or ferry service to the resort. 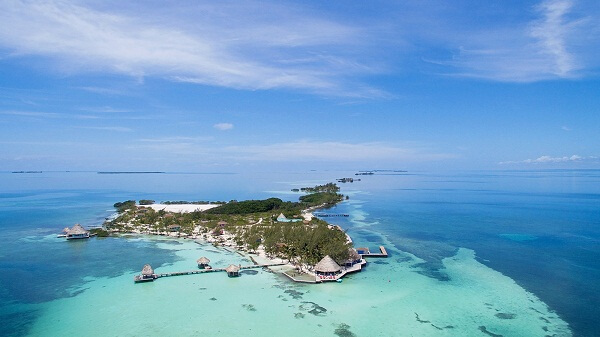 Coco Plum All Inclusive Resort is one of the best overwater bungalows for new year holiday in Belize. 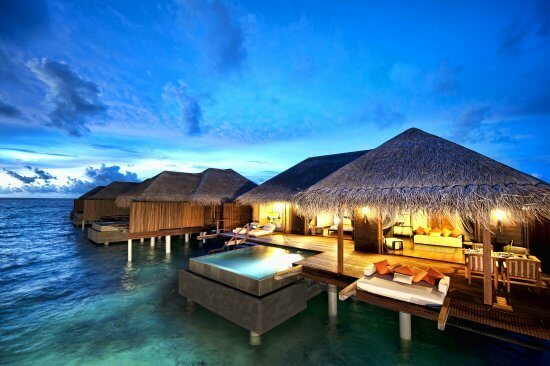 They offers one of the best views of sea through every water villas in their resort. 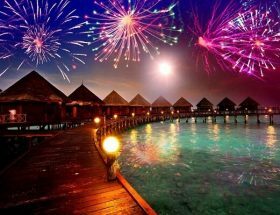 The resort organizes their own new year part and event which includes but not limited to fireworks, music, great food and dancing. 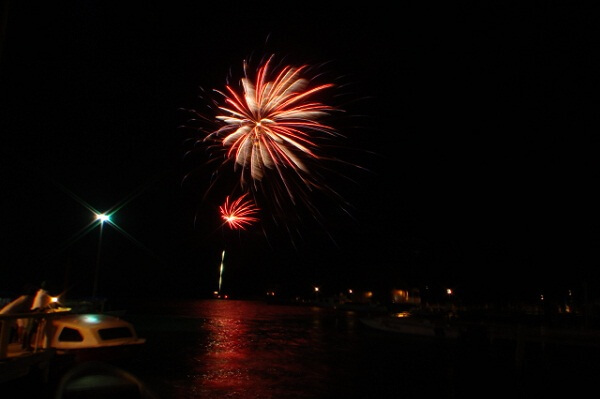 A lot of people miss the opportunity each year to celebrate new year at Coco Plum Belize. Our recommended portal (click here) offers good deals for new year dates. 2nd Step: From Belize Intl’ Airport, take a domestic flight from Belize to Dangriga. 3rd Step: At the Dangriga airport, a Coco Plum staff member will greet you and drive you towards the boat. An additional charge will be billed for this service. 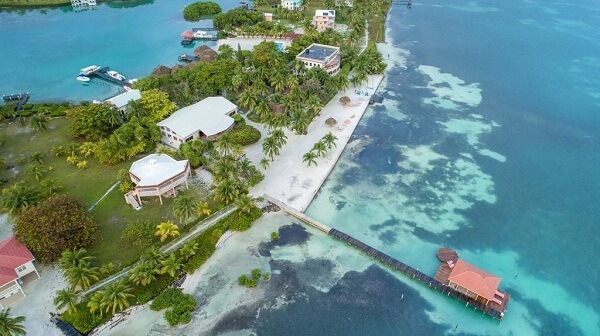 Lina Point Belize Overwater Resort is one of the best and chapest overwater resorts in Belize. If you are on a budget, then it’s the perfect place to celebrate Belize New Years Eve 2019. It’s a cheap resort but they offers high quality and world class staying experience to their guests. It’s a budget friendly and cheap overwater resort, a lot of people always make reservation well in advance. New Year is a busy season of holiday. Hence, quickly book your room from this webpage for amazing rates and deals. 2nd Step: From Belize Intl’ Airport, take a domestic flight from Belize to San Pedro. It’s a just 15 min flight to reach quickly. 3rd Step: From San Pedro Airstrip, take a land based taxi to reach the resort in quick manner. Article first published on October 23, 2018.